If you are interested in finding a local Karma Koin retailer, you can use the Karma Koin retailer finder by clicking here. 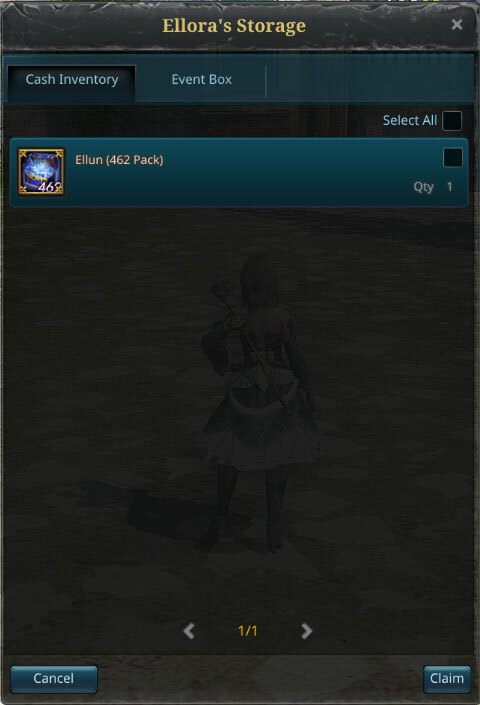 Once you have NX Prepaid on your Nexon account, you can go to Ellora’s Shop by clicking the shop icon in the lower right hand corner, then selecting the NX Plus tab in the shop. On the shop screen, you can see the amount of NX Prepaid you have available to spend, as well as the items available for purchase. You may purchase an item on the NX Plus tab by clicking on the icon of the item you want, then clicking NX Prepaid in the pop up window, clicking purchase, and then confirming your purchase. 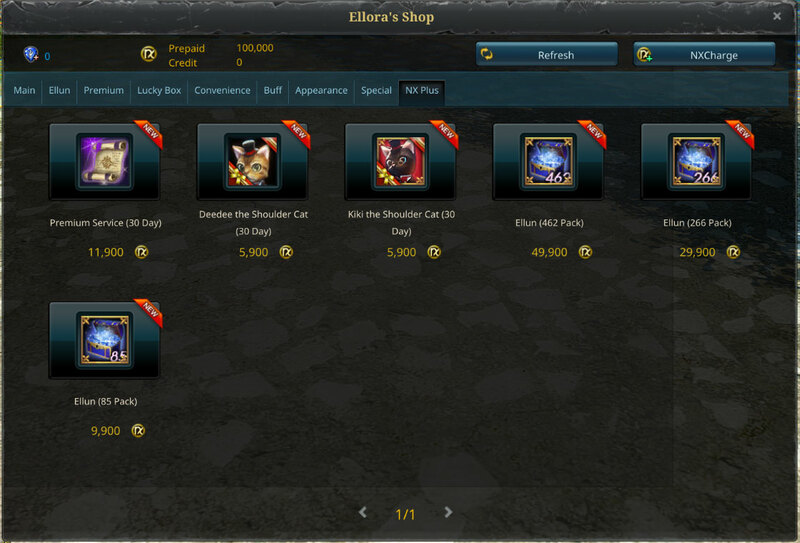 The item will then go into Ellora’s Storage, where you can select it and click Claim to put the item in your inventory. Now you have your item! Once the item is in your inventory, you may use it, trade it, or list on the Auction House. Once an item is used, it is no longer tradable or sellable on the Auction House, so be careful and only use those items when you’re sure you no longer want to trade them.